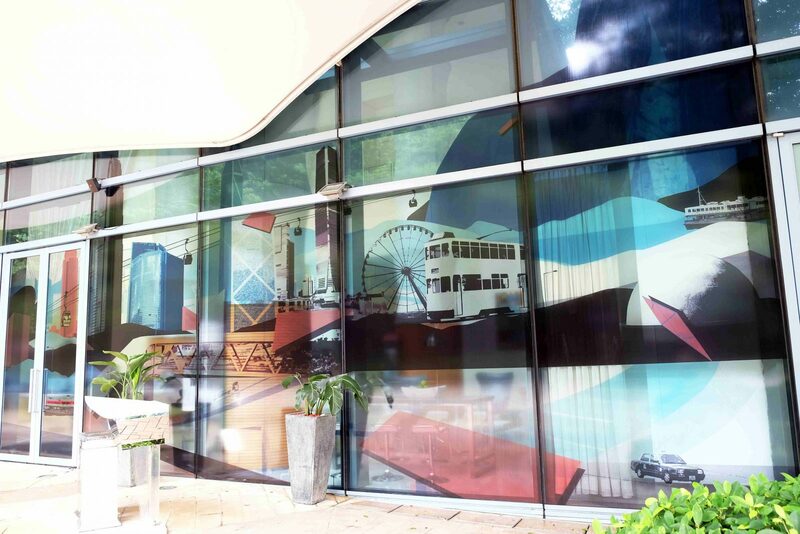 Le Méridien Cyberport presents, with artistic partners Hong Kong Arts Centre and Public Art Hong Kong, a new commission for local artists Sim Chan and Stanley Siu to create “Hong Kong Reflections”, on display now at the hotel’s front entrance. 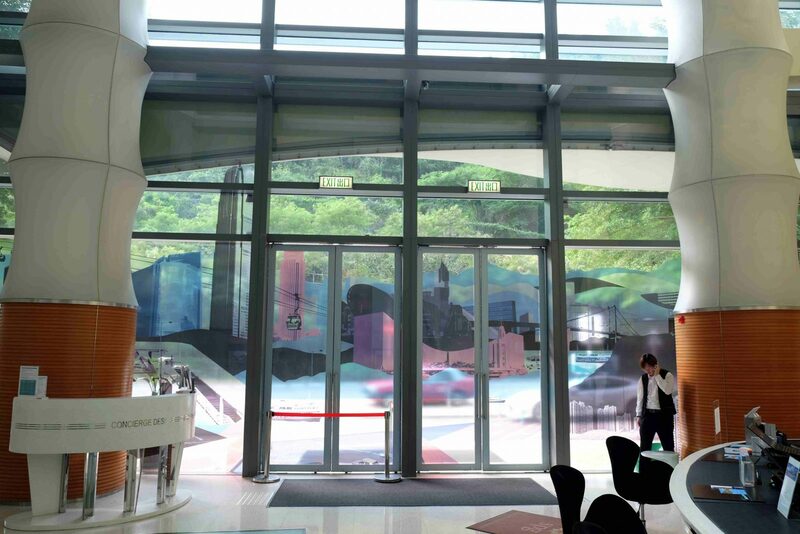 The artwork is a glass sticker installation resonate with the hotel’s brand color in recomposing landmarks and skyscrapers of Hong Kong such as the Lion Rock Mountain, the Star Ferry and International Commerce Centre. “Hong Kong Reflections” explores the city as a polyphony of history and reality, tourist impressions and collective memories. Sim Chan graduated from Hong Kong Art School in 2008 majoring in painting. Looking into the ever-changing cityscape, Sim unlocks the urban boundaries and reinterprets the architectural form with artistic reminiscences. Stanley Siu is an architect from Hong Kong as well as an active curator in the realm of contemporary art. He received the Young Architect Awards 2013 and was the Chief Curator for the 15th Venice Biennale International Architecture Exhibition–Hong Kong Exhibition “Stratagems in Architecture, Hong Kong in Venice” in 2016.